For the sixth time, UFC® is taking the world-famous Octagon® to Stockholm, Sweden. UFC FIGHT NIGHT®: GUSTAFSSON vs. SMITH takes place on Saturday, June 1, with tickets for the eagerly anticipated event on general sale this Friday. Tickets will go on sale at 10:00am CEST, via AXS, and will be priced at 600 SEK, 900 SEK, 1100 SEK, 1300 SEK, 1500 SEK, 1700 SEK and 2400 SEK. Fight Club members have the opportunity to purchase tickets today, Wednesday, April 3. Newsletter subscribers and those who registered their interest in the event will gain access to tickets on Thursday, April 4 at 10:00am CEST. 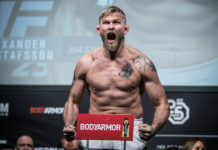 UFC previously confirmed that hometown hero Alexander Gustafsson (18-5; fighting out of Stockholm, Sweden) will headline the event and have the opportunity to compete on home soil in front of his passionate fanbase once again, following an astonishing win against Glover Teixeira at UFC FIGHT NIGHT®: GUSTAFSSON vs. TEIXEIRA in 2017. Gustafsson faces no. 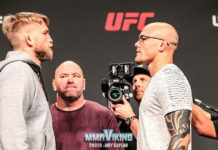 4 ranked light heavyweight Anthony Smith (31-14; fighting out of Nebraska, United States) in the main event on June 1, at the Ericsson Globe. 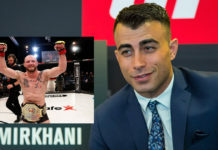 Liverpool’s own, Chris Fishgold (18-2; fighting out of Liverpool, England) goes head-to-head against Finland’s Makwan Amirkhani (14-3; fighting out of Helsinki, Finland) on Saturday, June 1. Fishgold impressively beat Daniel Teymur at UFC FIGHT NIGHT® PRAGUE. 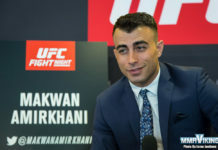 Amirkhani looks to continue his good form after beating Jason Knight at UFC FIGHT NIGHT®: THOMPSON vs. TILL last year. UFC revealed that Volkan Oezdemir (15-4; fighting out of Fribourg, Switzerland) and Ilir Latifi (15-6; fighting out of Stockholm, Sweden) will face each other in the Octagon on June 1. Oezdemir comes into Stockholm off a narrow loss to Dominick Reyes at UFC FIGHT NIGHT®: TILL vs. MASVIDAL. Latifi returns to the Octagon with a vengeance after his thrilling performance against Corey Anderson at UFC 232®. 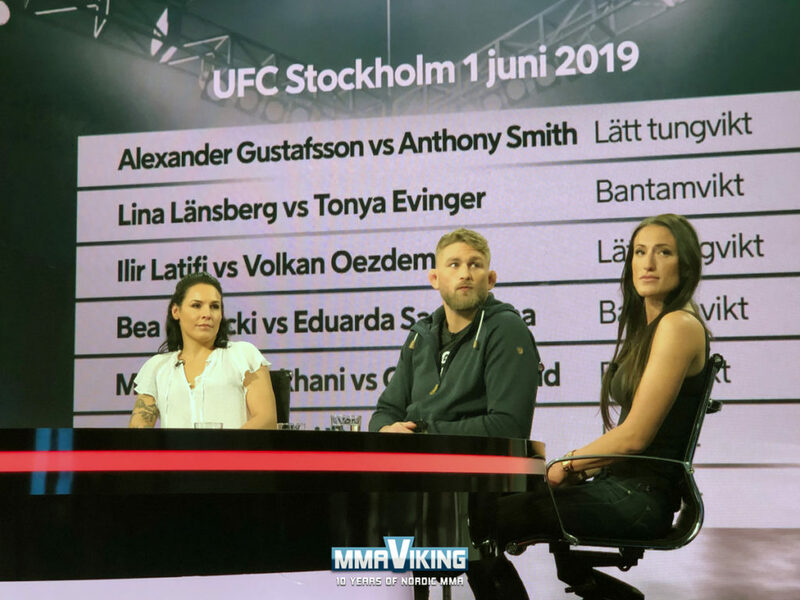 UFC also confirmed today that Swedish fighter, Lina Lansberg (8-3; fighting out of Malmö, Sweden) takes on Tonya Evinger (19-7; fighting out of Texas, United States) at UFC FIGHT NIGHT® STOCKHOLM in a bantamweight bout. Fellow bantamweight fighters, Eduarda Santana (3-0; fighting out of Rio de Janeiro, Brazil) faces Sweden’s own, Bea Malecki (2-0; fighting out of Stockholm, Sweden). Malecki is a former member of THE ULTIMATE FIGHTER® 28 season and takes on Brazilian UFC newcomer Eduarda Santana. Fans are advised to register their interest via ufc.com/Stockholm to gain early access to tickets and to follow @UFCEurope on Twitter for all the latest updates.